If you have a plumbing problem and need a technician in the Pea Ridge, Arkansas area, then give JC Plumbing a call! From faucet leaks, toilet repair to full kitchen remodels, we would love the chance to earn your business and see why so many other residents in the area choose us as their go-to plumbers! Emergencies are by nature, unexpected events we can do very little to prepare for. As such, we’re on call around the clock, morning, day or night, ready to help you when you need it. Bathrooms and kitchen are the heart of the home and are those two rooms where the services of a competent plumber are perhaps felt the most. Pipes and gas lines are directly used in these rooms and so, whether it is a clogged drain or broken main – malfunctions are felt and noticed immediately. Additionally, updates and modifications become necessary whenever building codes are updated. Right behind completely remodeling bathrooms and kitchens, is repairing broken toilets and fixtures whenever they may occur. Not all leaks are immediately seen, and leaks that go undetected can result in severe water damage to your property and raking up significantly high costs. Clogged drains result in waste accumulating in and around various parts of your property. As waste accumulates, further damage can be done to your property. Regular drain cleaning – a service we happily offer – will help you avoid all this. It is important to have your gas lines properly installed and maintained to avoid breaks and leaks. Gas leaks can be absolutely devastating, leading to loss of life and property. Here at JC Plumbing, we ensure that your gas lines are done right the first time and are kept in tip-top shape after that. If you would like to use these or other JC Plumbing services, then give us a call today. 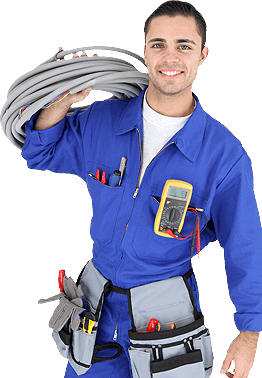 A plumber from our competent team will be happy to speak with you. Contact us today!